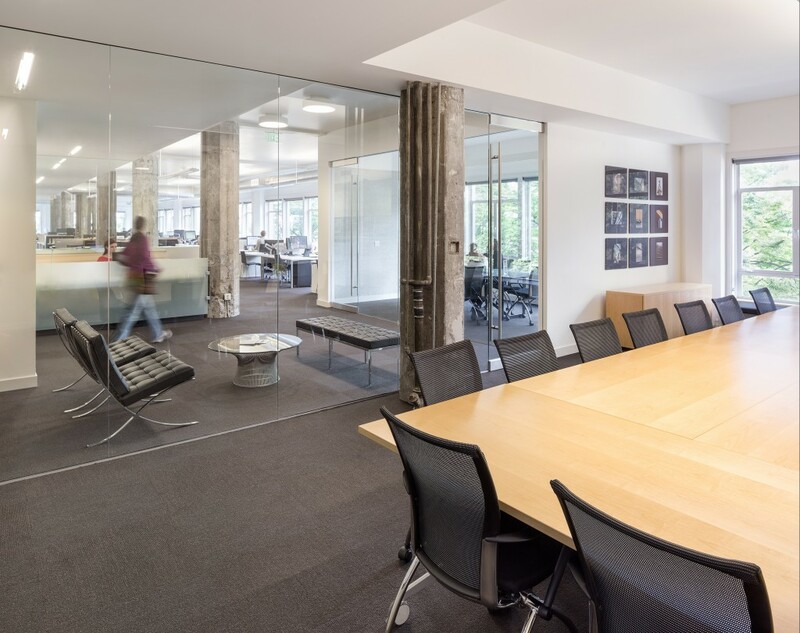 This elegant transformation of Hennebery Eddy’s design studio expanded the space and promoted synergy among designers, increased transparency, and created a welcoming experience for visitors. 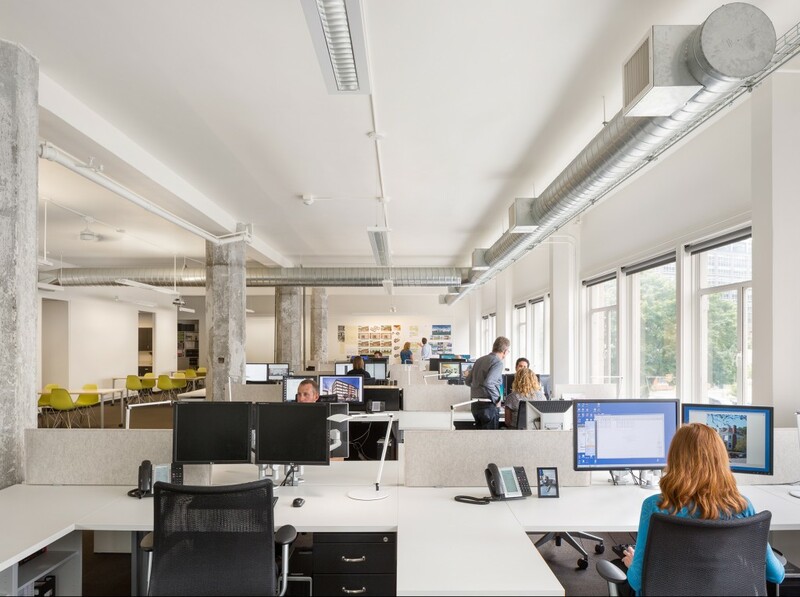 The renovation revealed the original character of the historic early 1920s office building in downtown Portland. 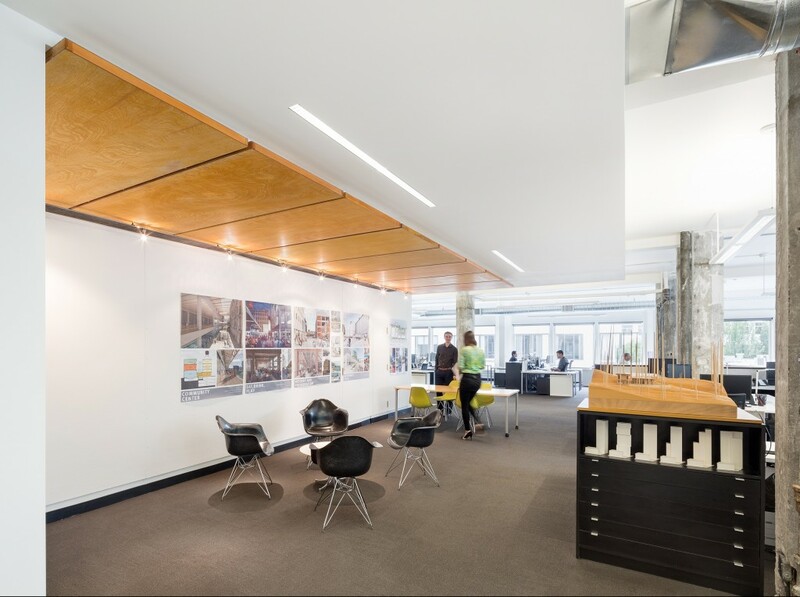 A low acoustic tile ceiling that constrained much of the existing space was removed to increase volume. 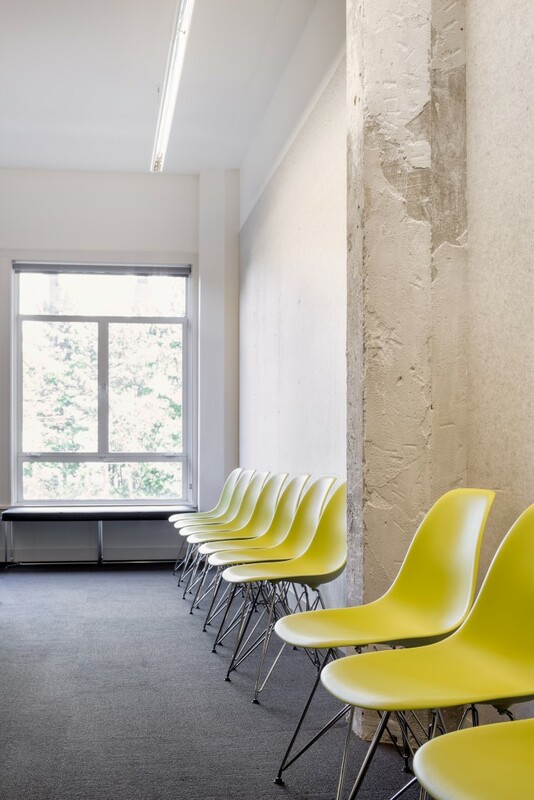 The entry, reception, and conference rooms were reorganized to improve wayfinding. Raw concrete columns, textured by the original formwork, add a warm wood grain texture and complement a minimalist palette of finishes in the studio. 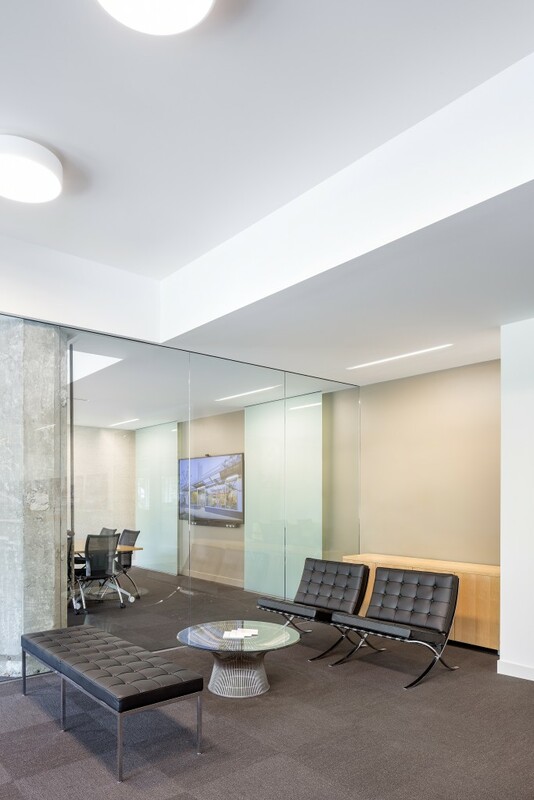 Classic modern furniture was incorporated to create an effective and comfortable work environment, and individual workstations were eliminated in favor of flexible team “pods,” which are free from partitions except for low tack surfaces wrapped with recycled felt. During construction, 97% of all waste created was recycled or reused, and the project is certified LEED Gold for commercial interiors.